Today I have something a little different. As you know I tend to keep this blog nail related. Typically when I receive an email about a review that doesn't deal with nails I say no. I was contacted by JORD Watches a couple weeks ago and was so fascinated I couldn't say no! To make sure that this post is nail related I created some wood nails to match my really cool wood watch! You are looking at the Fieldcrest Series Wood Watch in Maple. The Fieldcrest series wood watch is designed for both men and women seeking simple elegance. Not an overly large face but certainly not small, it's an everyday design. Choose from 2 different wood options. The Fieldcrest offers Citizen Miyota movements. Stainless steel hands and hour ticks are complimented by vivid wood grain face. I love this watch! It is so unique and different! I created these nails using OPI San Tan-Tonio, Cointreau-Versial Chocolate and W113. Thanks to JORD I am hosting a giveaway! 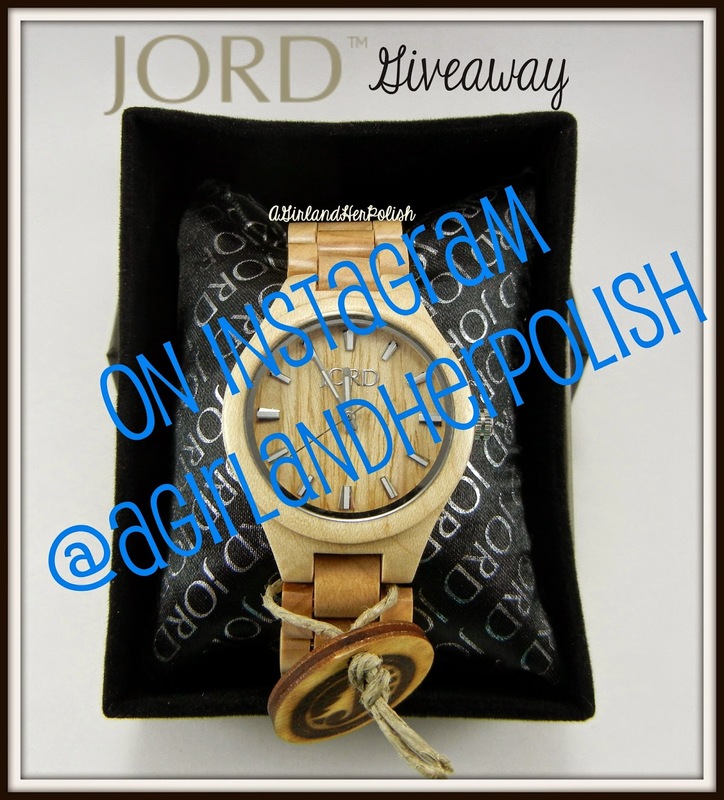 You can win your very own JORD watch! Head over to my Instagram to find out how! That watch is so cute and unique! Love how you got inspired to do a manicure with it too. It looks just like wood! Cute nails and they DO look like wood. I don't have instagram but good luck to all that enter! Those watches are really nice looking and so unusual. I really want one because no one else has one. I love Michael Kors but it seems everyone has an MK watch now and carries a Coach purse. 2 reasons why I won't buy either. But this, no one has one of these ..yet. Such a beautiful watch and your nails are amazing! I honestly don't know how you do it. They are always perfect. Love the nails! And that watch is gorgeous! In daily life, lots of people are likely to buy the American Style solid wood furniture because of their natural and elegant features.